A mum destroyed, I can't find a happy place in my heart or mind it never gets easier.. 6 years on and the pain I just can't take anymore. Even if all is lost your journey may save someone else and more importantly their children from alienation. And would be what I would use to get me through some of lives toughest battles. via ALONE, LONELY What’s worse? Author my3littleducksnevercamebackPosted on February 2, 2018 Categories PARENTAL AlienationLeave a comment on ALONE, LONELY What’s worse? I’ve been alone since I was 21 that’s when I got married that went for 17 years,yes still alone, and the last 8 years single by choice and yes you guessed it alone. But now because of some very cruel people I live with SOCIAL ANXIETY how lucky am I. I rarely go out isolation becomes your friend. Pre marriage I was always a very extroverted woman this part of my personality only seen by family and old friends. I do often laugh at my own jokes lol. Lonely, sometimes sure but my marriage mentally abusive, the loss of my children to PARENTAL ALIENATION SYNDROME, I knew it would be a long period of time before I even felt my heart beating since it was ripped from my chest the pain still lingers and I guess it always will. But I know this man and he would be the man that saw me from the inside out this man cared enough and saved my life, he knows how I feel I just blurted it out recently then I started to feel that pain again he left it a couple of weeks he preceded to tell me he has cancer. What did I do to deserve no happiness in my life, he doesn’t want me wasting my time but maybe time is all we have. I think about him often and he is in my heart like it or not so I don’t believe I’m lonely anymore. 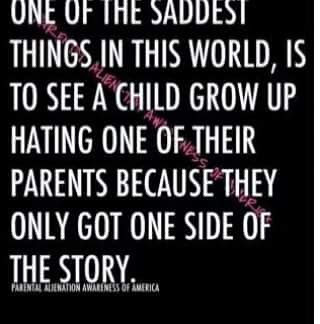 Author my3littleducksnevercamebackPosted on February 2, 2018 Categories PARENTAL Alienation2 Comments on ALONE, LONELY What’s worse? Somehow taught me to think differently, to think responsibly, to remember not everyone is like me and the millions of times my kindness has been taken for weakness is no more. That part of my brain that recognizes danger all that part of my brain that makes me think before I act I finally switched on. It was me that was allowing myself to be put into situations that were dangerous not thinking of course at the time. I already live a very isolated life but the more life skills I re-educate myself with The less fear maybe even finding my extroverted self lost in an introverted world.